From Flixster app user to Target shopper in 60 seconds or less? That’s the goal of Target’s new Spider-Man mobile advertising campaign, which use exclusive mobile content to drive retail sales. 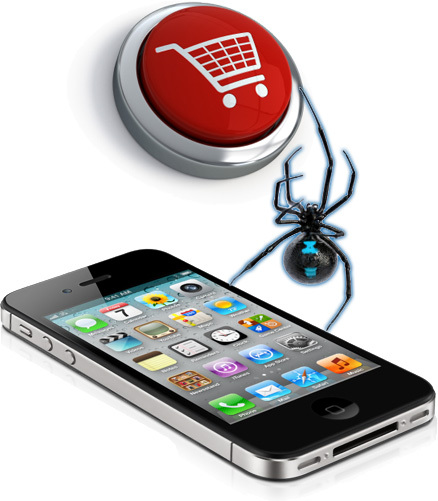 Mobile Commerce Daily reports that Target’s Spider-Man mobile advertising connects Flixster users with movie-related merchandise for purchase online or at their local store. Target could also take its mobile advertising campaign one step further – bridging the digital world and real world with check-ins, in-store discounts, and even augmented reality. Driving Target’s ad traffic is a streamlined mobile design that features an exclusive Spider-Man movie trailer. In addition to the exclusive video content, Target’s mobile ad landing page showcases Spider-Man related products organized by categories such as movies, games and toys, comic books and party supplies. Each category includes individual product pages where users can read reviews, add items to their basket and purchase their merchandise – without ever leaving the mobile marketing app. While I’m excited to see such strong integration within a single mobile ad, Target could take mCommerce even further by bridging the digital world with its brick and mortar stores. Last April, Walmart gave us a preview of how movie fans could engage with in-store merchandise through an Avengers augmented reality mobile app. Fans first downloaded the “Superhero Augmented Reality” game and then visited their local Walmart store for a scavenger hunt. Players located strategically placed signage, aimed their smartphone camera at the sign, and then collected superhero powers. Once all the powers were unlocked, players could access the game’s final level, defeat Loki, and save the world. Target could do something similar – using the Flixster mobile advertising to promote the augmented reality game. What if the mobile ads could also track when users check-in at Target via Foursquare or Facebook? The mobile ad could then direct shoppers to a specific aisle, where they’ll find the merchandise they just viewed in the ad. Look at a Thor mask after viewing the ad? Shoppers would be directed to Iron Man and Avenger products, rather than Spider-Man merchandise. Target already allows mobile users to look up products by aisle number at local stores. Integrating this feature in the ad’s mobile design is a logical next step. The ad could even include a list or in-store map that shows product locations for each item in which a customer is interested. A check-in at a local movie theater could also trigger other actions from the Target ad. For example, the mobile ad could reward the moviegoer with a coupon that’s good for a discount on any Spider-Man related merchandise purchased within 48-hours of the movie viewing at a nearby Target. What if the Target mobile ad could help customers avoid in-store shopping all together with a new spin on traditional mCommerce? Customers could place their Spider-Man merchandise orders via the app and then swing by their local Target to pick up their purchases. Purchases would be paid in full via the app. Rather than wait in line at a customer pick-up station, online shoppers would head straight to a secure locker station, where they would enter a code to access their purchase. This marries the instant gratification of in-store shopping with the hassle-free world of online shopping. No need to wait in lines, search for items or wait for products to be delivered. Finally, the mobile ad could prompt customers to opt-in to product alert messages. As an opt-in incentive, Target could thank customers who sign-up for product alert messages by rewarding them with a discount on any Spider-Man purchases. Target would then have an additional opportunity to target potential customers when the Spider-Man DVD is released. How would you integrate mobile advertising and mobile commerce with in-store retail? | 403 forbidden | -" title=" "> | on this server.